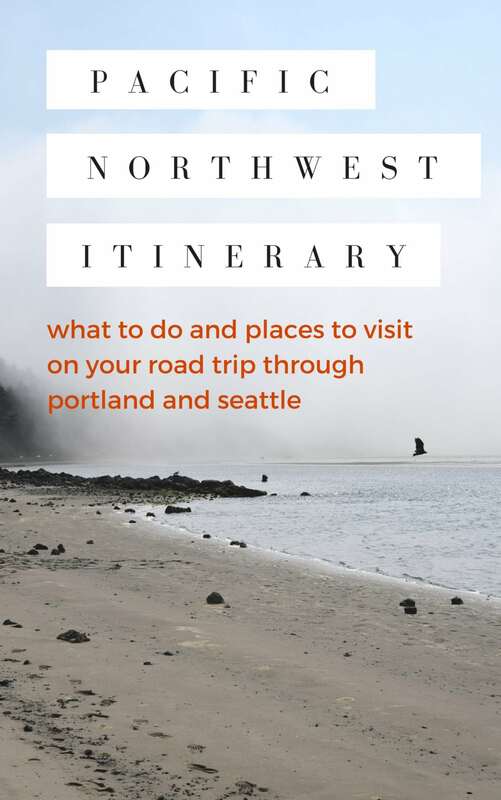 Looking for a Pacific Northwest Itinerary? Look no further! 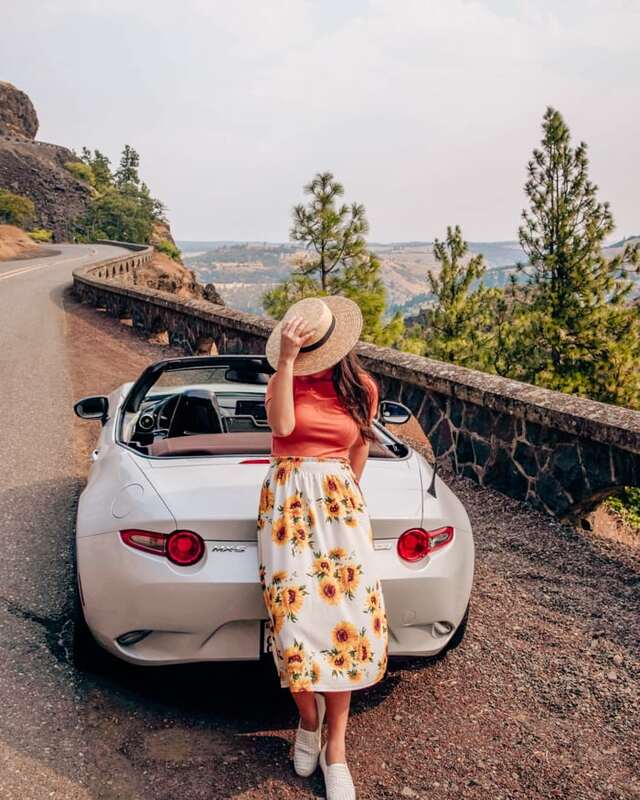 Last week I had the privilege of road tripping up from Eugene to Seattle with Mazda in their gorgeous 2019 Miata MX5. When they reached out about this press trip, I could hardly believe it was true. 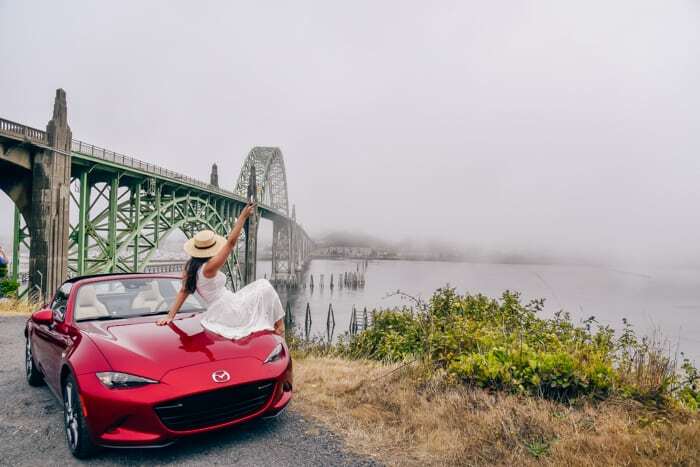 A four day vacation in a dreamy convertible exploring the Pacific Northwest with a fellow travel blogger? Sign me up! 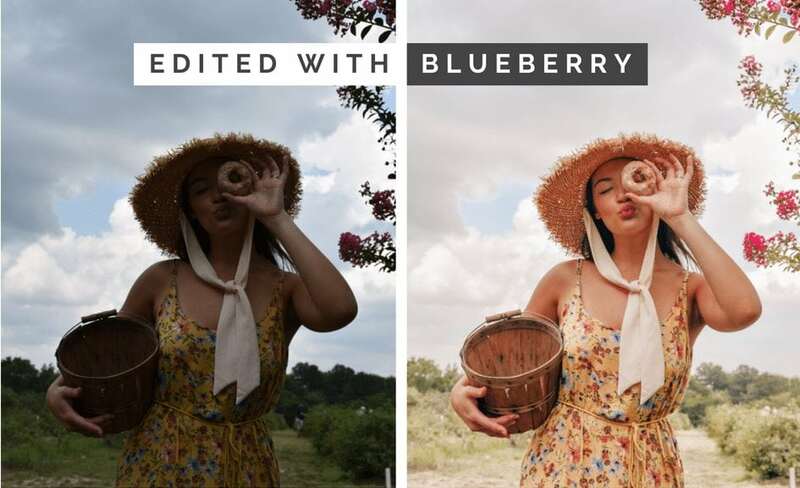 It sounded too good to be true but IT WAS TRUE! 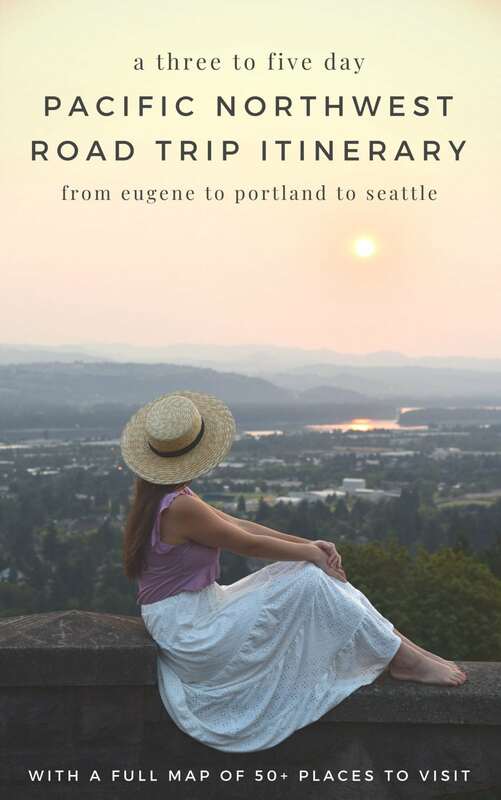 Two weeks later, I was on a flight to Eugene where fifteen other bloggers and I would meet up for the start of our trip. 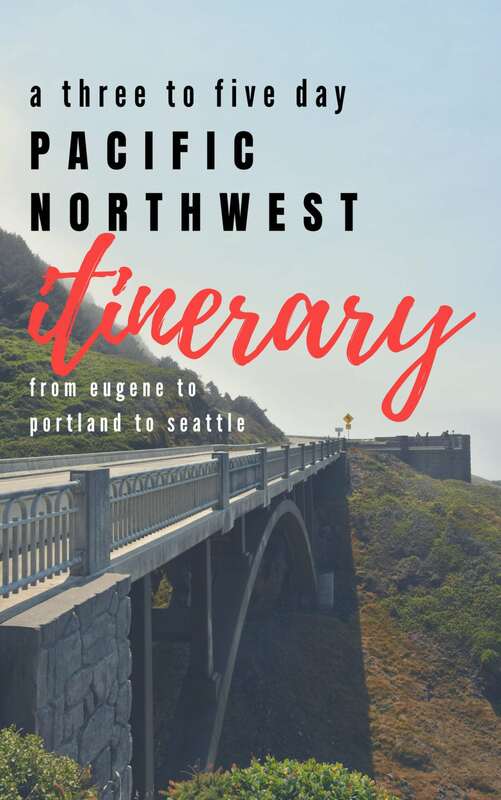 I was paired up with the lovely Sierra from @passportvoyager, and the two of us made our way from Eugene to Portland on Day 1, and then Portland to Seattle on Day 2. 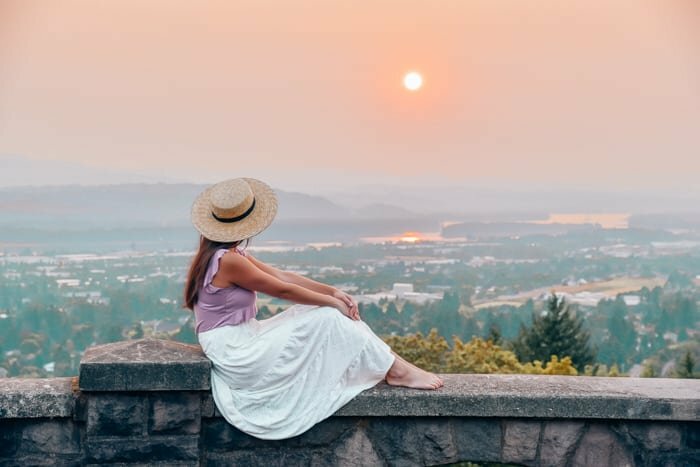 We were given free reign on where to go and what to see- the only requirements were to be in Portland and Seattle by our scheduled dinner time. 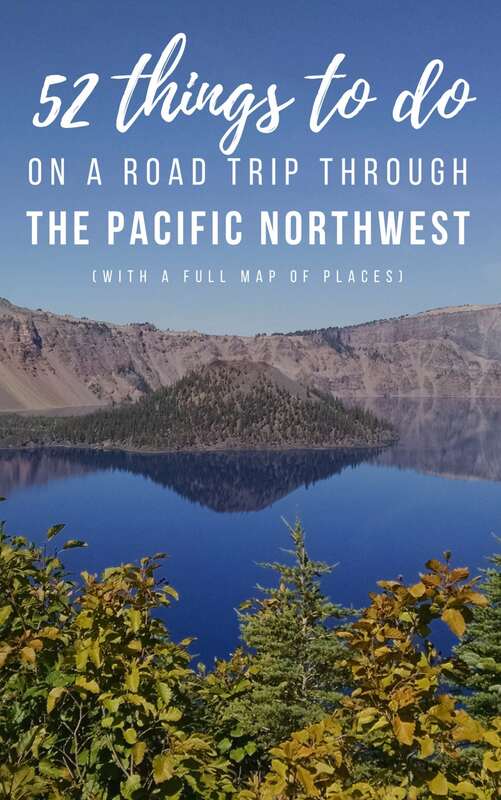 So after researching a ton before arriving, I had a map comprised of all of the things I wanted to do and places I wanted to see. We were also given a list of ideas for things to do that Mazda had created. After combining that list with my own, I realized two days was not nearly enough! Sure, you can do what we did and fit it into two, but I guarantee you won’t be able to see everything on this list! So here’s a 5 day itinerary for you! P.S. Don’t worry if you really only have a few days, you can still explore a ton! 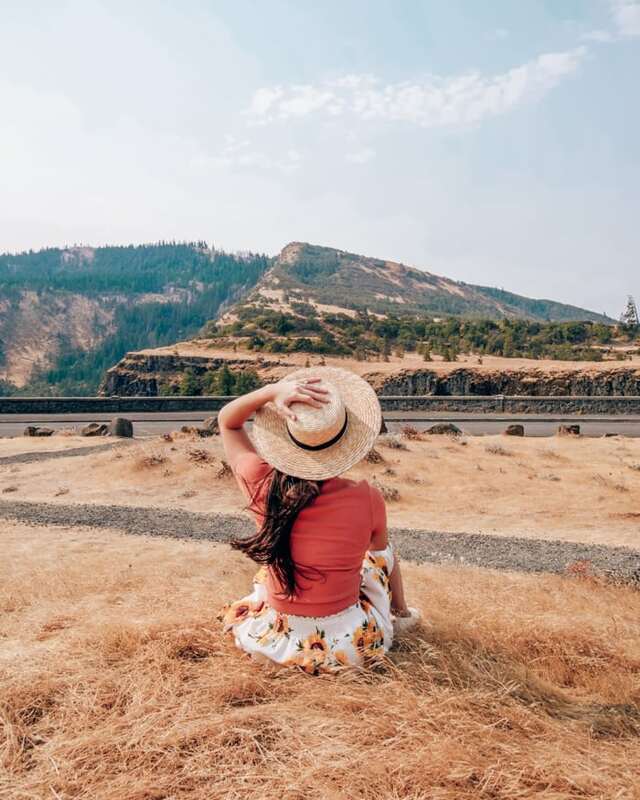 We saw so much on our two day road trip! P.P.S. 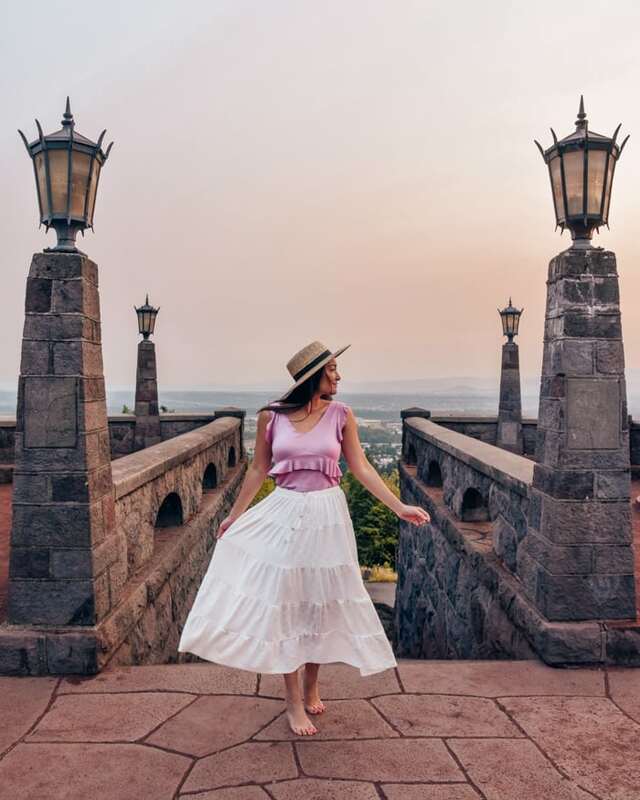 Want to learn how to be a travel influencer? Check out this page! ** Color coded: places to see are in blue, places to stay are in pink, places to eat are in yellow, and places with activities are in purple! Expand the map for a breakdown of each day and where each item is located. You can click on each point to see google photos from the location! Chubby’s (or any of the lunch spots on the map! )- I picked Chubby’s for this list because they have THE BEST burgers… ever. Domaine Serene Winery– or any of the wineries in the area- there are so many!! Once you’re in the area, you’re in wine country! Willamette Falls– it’s actually the second largest falls in the US by water volume! Camp 18 Restaurant– for giant cinnamon rolls! International Rose Test Garden– has over 10,000 rose bushes! 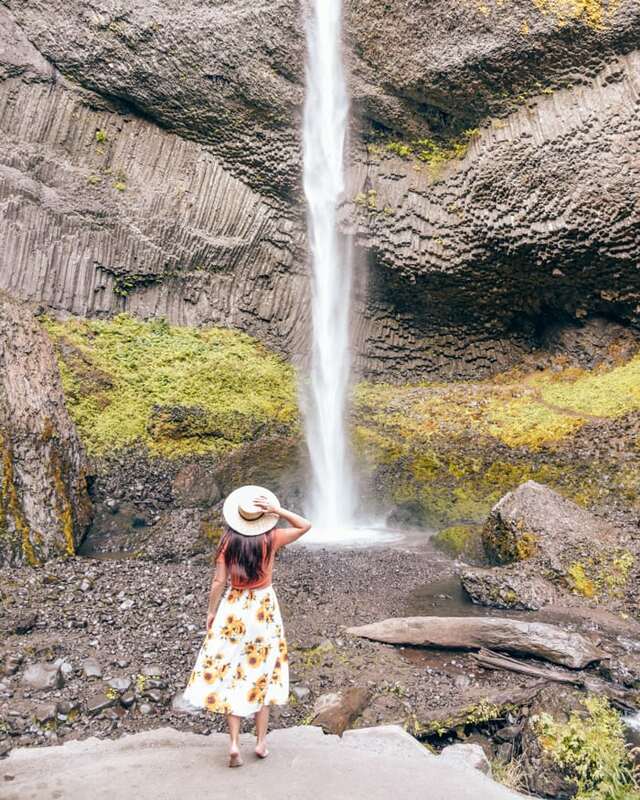 Multnomah Falls– this iconic Oregon waterfall is known for the stunning view from the bridge in front of it. When we went, the road was closed and you had to take a shuttle to the falls. Voodoo Donuts– for breakfast. It’s open 24-7, so stop by whenever. They are famous for their eclectic donuts! Gum Wall– if you’re not grossed out by a huge wall covered in gum! Troll’s Knoll Park– an 18 foot tall sculpted troll underneath Interstate 5! Of course, note that you can cut a day out, switch up the order, just go from Portland to Seattle, etc. 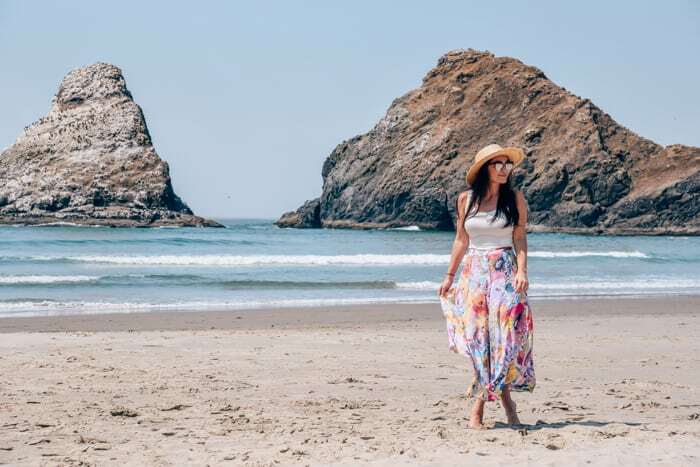 I hope this itinerary gives you plenty of things to do and places to see on your road trip! 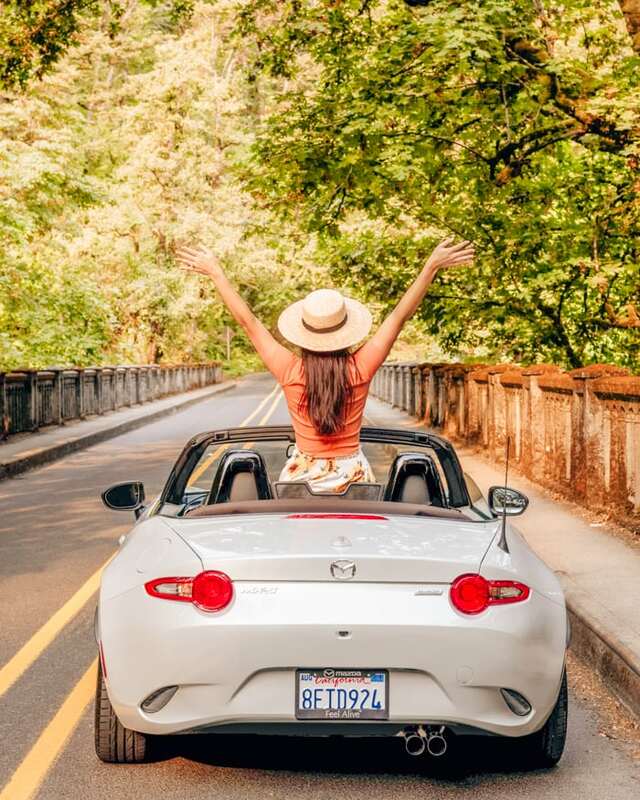 Road tripping in a convertible is always a YES in my book! You’ll find so much beauty everywhere you look. 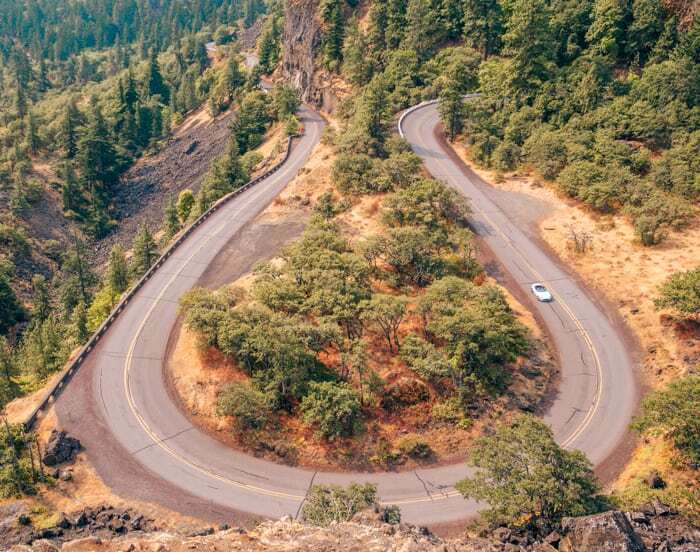 On the drive to the coast, pine trees appear and envelop your senses. Along the coast the fog rolls in, temperatures drop (for us, coastal temperatures were 60 degrees when it was 99 inland!) and you can see the beach through the dense clouds. 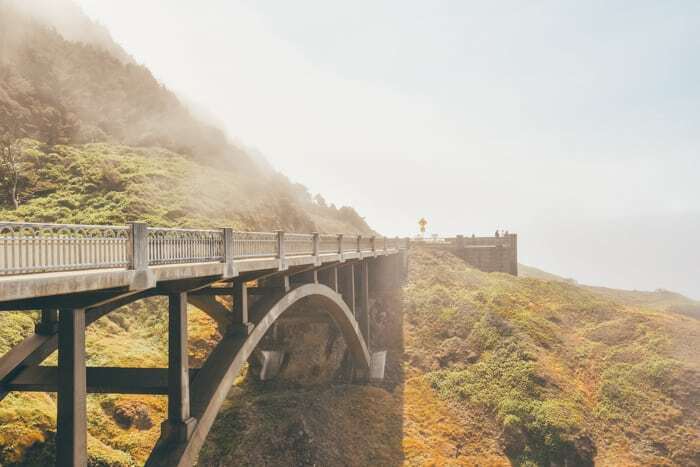 When you get to Portland, you’ll find a walkable city with great restaurants and hotels. 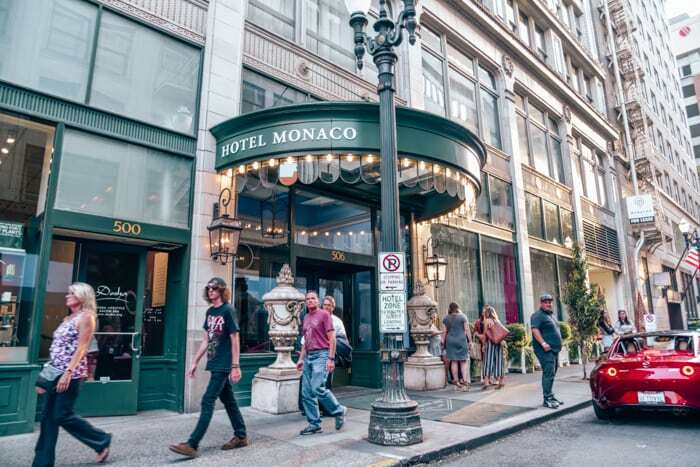 My favorite hotel we stayed on our entire trip was the Kimpton Hotel Monaco Portland. 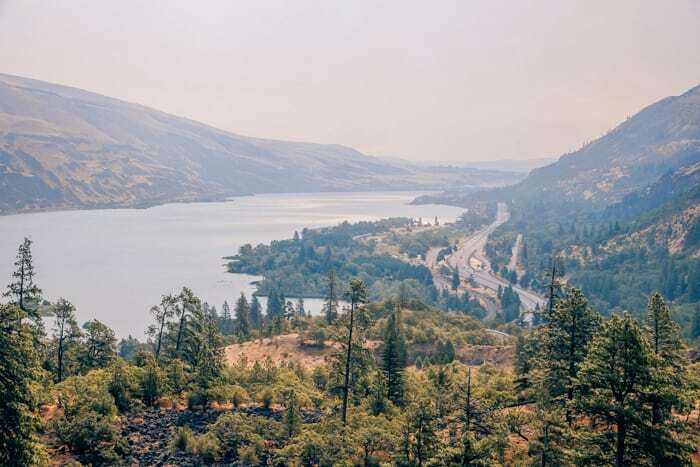 When you head to Washington, the terrain becomes mountainous and there are notably less places to stop for local eats- but this is mainly due to driving inland. Definitely cut through Mt. Rainier National Park for some stunning views. I didn’t get much time in Seattle (my flight took off at 7AM on our last morning), so I don’t have much personal advice there. But I’ll be back for you someday, Seattle! 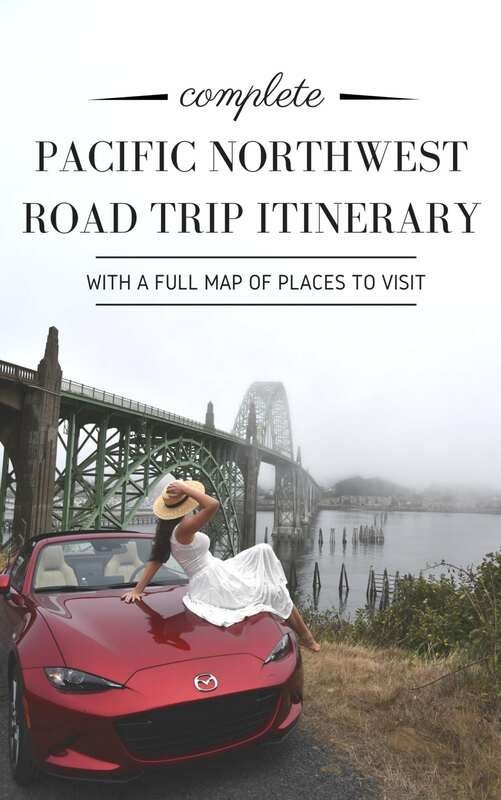 If you found this itinerary helpful, please share it or save it for later on Pinterest! You can use this pin to make it easy!